The Estate Chair has a stately design which coordinates with your favorite table. 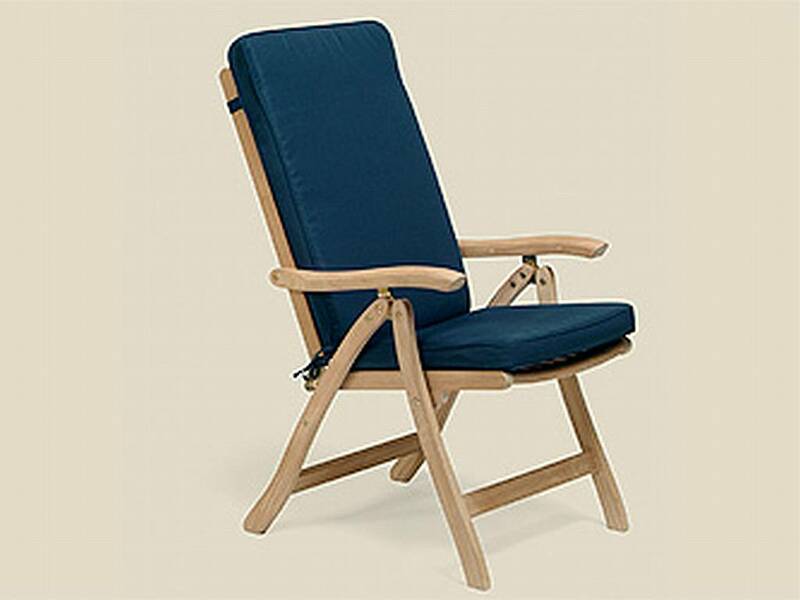 Enjoying an outdoor family event is easy with this simple and versatile chair. Reclining to five positions, it provides the comfort of your living room recliner. The chair has a high-back with gorgeous details and features solid brass hardware. 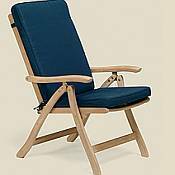 You can use the chair straight up for dining or reclined for relaxing all day and night in the great outdoors. What a wonderful multi-purpose chair! Pair several of these chairs with one of the great tables from the Royal Teak Collection and you will not be disappointed. Add the Footrest to create an even more relaxing and enjoyable experience. To make your furniture even more comfortable, consider buying attractive Royal Teak Collection cushions. These cushions have zippers for easy machine wash, and are available in Navy, Hunter Green, and Off-White. Choose from the full back cushion for this chair (shown above), which measures: 44"L x 19"W x 3"H or the one-seater cushion, which measures 19"W x 20"D x 3"H .